“Digitalisation” was the dominant topic at CeBIT 2017. Businesses with a digital agenda will not be able to avoid the use of cloud applications. As part of the theme “Trusted Cloud – Making a success of digitalisation“, the use of cloud computing was discussed in-depth. Organised by the Federal Ministry for Economic Affairs and Energy and competency network Trusted Cloud e.V., four vendors presented how new business models could be developed using cloud computing. CeBIT proved once again the importance of Trusted Cloud to the German economy. The Trusted Cloud Forum not only hosted user and vendor presentations, but also provided a discussion platform for reputable CIOs and CEOs regarding the ‘Success factors of the digital transformation‘. “Now it is important not to miss the digitalisation trend. 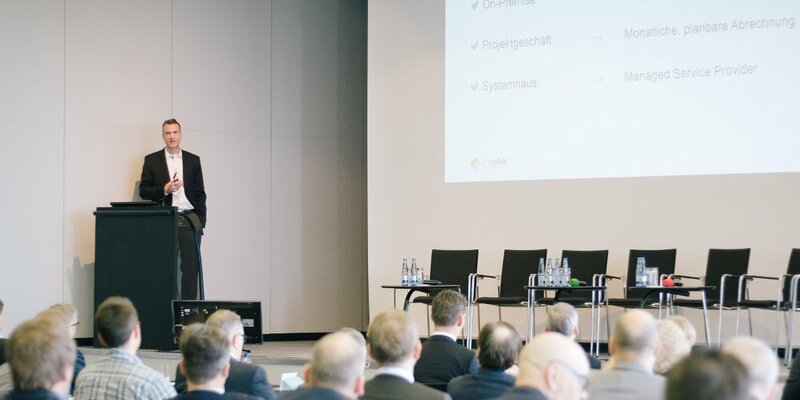 As with systems integrators, oneclick supports companies to achieve a successful digital transformation of their business models“, summarises Dominik Birgelen.